As we welcome another year in tech, with each one seeming to whizz past with increasing speed, TNW challenged each department of the company to share what they learned in the past year, their hopes for the year to come and what resolutions they’ll be making, and sticking to, in 2016. I was born in ’81, which puts me in the top 5 of oldest people on the TNW payroll. I grew up without any digital devices, except maybe for my dad’s dusty old MSX. He used to spend hours copying lines of Basic code from a book, which he would then save to a cassette tape. Weirdest thing. When he ran the code, after a few bouts of debugging and words no four-year-old should be exposed to, magic happened. Before me appeared the most immersive racing game and I was convinced my dad was either a genius or a wizard. The first digital device in my life and possibly what got me into development. Fast-forward to puberty. My dad had long replaced his MSX with a creamy Intel 486 PC that had opened up a world of classics like Monkey Island and Leisure Suit Larry to me. In ’95, consumer internet made its way to households across the Netherlands and I will be forever grateful that my dad got online as soon as he did. This is the internet where all links were #0000EE and tables had borders so thick your mouse pointer would trip over them. It’s also the internet that made me realize that anyone could publish anything for everyone to see. This replaced my interest in gaming and would eventually become my full-time job after finishing design school at age 20. But none of this would’ve happened if it weren’t for one menu item: View > Page Source. Looking at young Web developers today it’s easy to envy the resources they have at their disposal. Frameworks like jQuery and Bootstrap allow people with virtually no experience to piece together a decent-looking webpage, making Web development look like an extinct profession. That is, if we forget to acknowledge the people open-sourcing their wheels so we don’t have to keep reinventing them. The people that wrote the books we copied the lines from. Which finally brings us to my 2016 resolution: to voice my appreciation more to the people that inspire me and make my job easier. Celebrate the people that cause progress. Tweet some praise to a designer; a thank you to a plug-in developer. It’s the positive feedback—the likes, the comments—that turned Humans of New York’s Brandon Stanton from an unemployed street photographer into one of Facebook’s most influential figures, now raising millions for charity. I believe appreciation is what keeps everyone going. 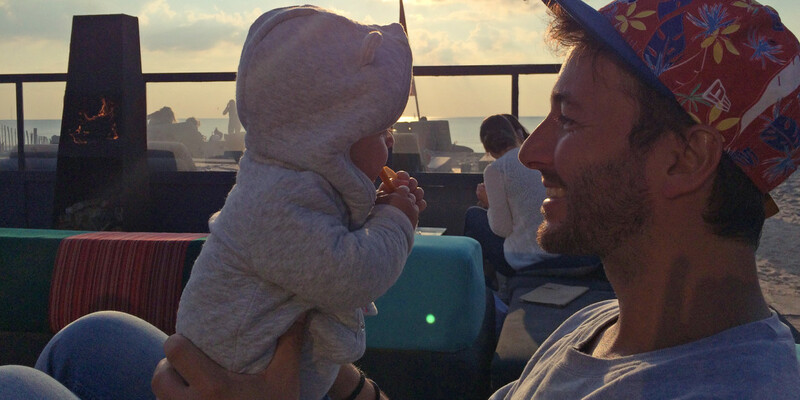 2015 is the year in which I became a father myself, and Head of Design at TNW. I plan to show this attitude of appreciation to both my son and the workplace, and share more work of my own to inspire others. Since our redesign in April 2015, TNWs site speed has slowed significantly. For a publisher that’s a tech company first, this is inexcusable. So we set out to redesign the redesign, and relentlessly reconsider every script and image. Coming soon! While I appreciate our marketing and sales teams not seeking approval for every minute change, sometimes an A/B test or experimental ad unit slips through that I really wish I could’ve nipped in the bud. Our recent newsletter pop-ups were a painful case in point. No offense, marketing team. My bad. Together with our new senior designer Jeff Andries, I intend to develop new formatting options for our editors to make their stories richer, more attractive to read, and more fun to write. Our flagship conference is my favorite time of the year, and the weeks leading up to it are usually total design mayhem. This year, with the conference bigger than ever, the visual bar is at an all-time high too. We’re looking forward to making it the best-looking conference you’ll see this year. You may have heard that TNW is partnering with Google to open a brand new tech hub in the middle of Amsterdam early this year. Guess who’s super-excited about designing an awesome visual identity and website for it? Spend more time creating and maintaining questionable side-projects such as our Cyberspace Culture Tumblr blog. Happy 2016 and lets go make things others can be thankful for.